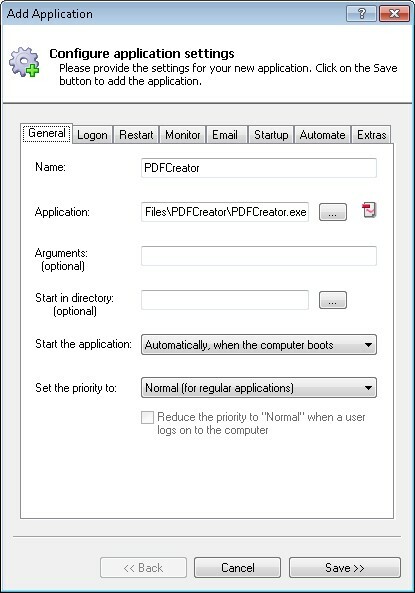 Ensure that PDFCreator is available to convert to PDF as soon as your computer boots, before you log on! 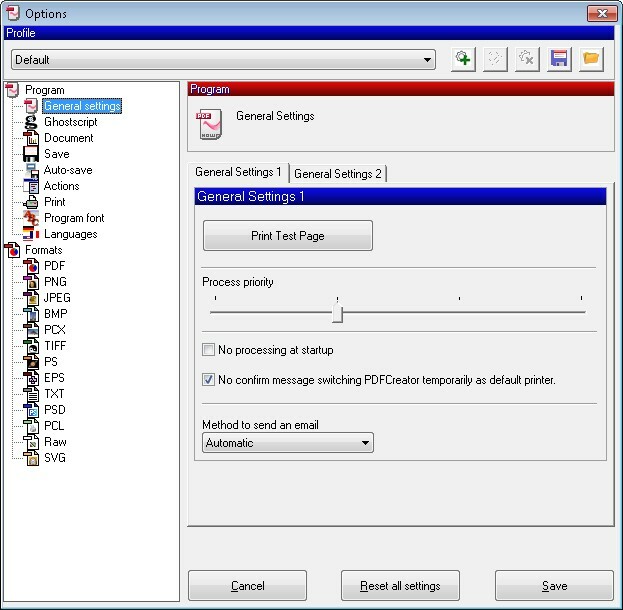 PDFCreator is free PDF converter tool supporting server-based operation. Download and install PDFCreator, if necessary. Please make a note of where you installed it as this will be used in a later step. Next, prepare PDFCreator to run unattended. 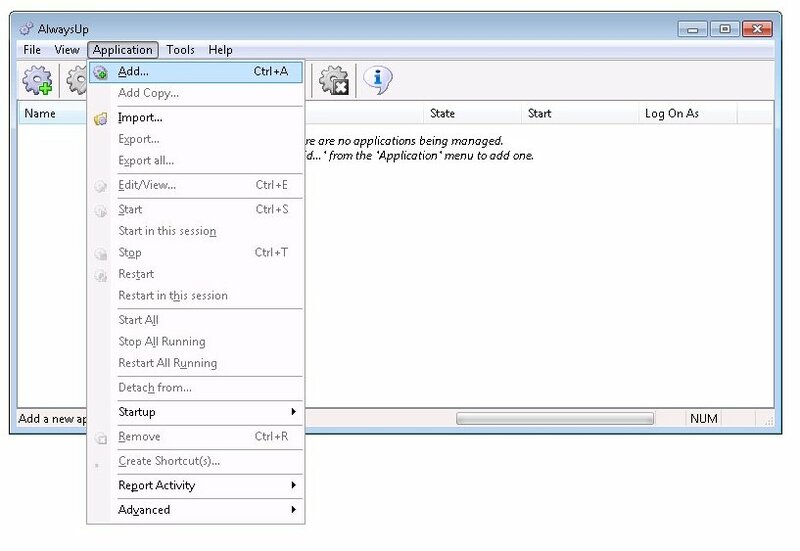 When run with AlwaysUp, no one may be logged on to dismiss PDFCreator's confirmation and notification dialogs! Please be sure to review all the settings particular to your situation and eliminate other potential interruptions! Click on the Save button when you are done. In the Name field, enter the name that you will call the application in AlwaysUp. We have used PDFCreator but you can specify almost anything you like. Click over to the LogOn tab and enter the user name and password of the account in which you installed and configured PDFCreator. 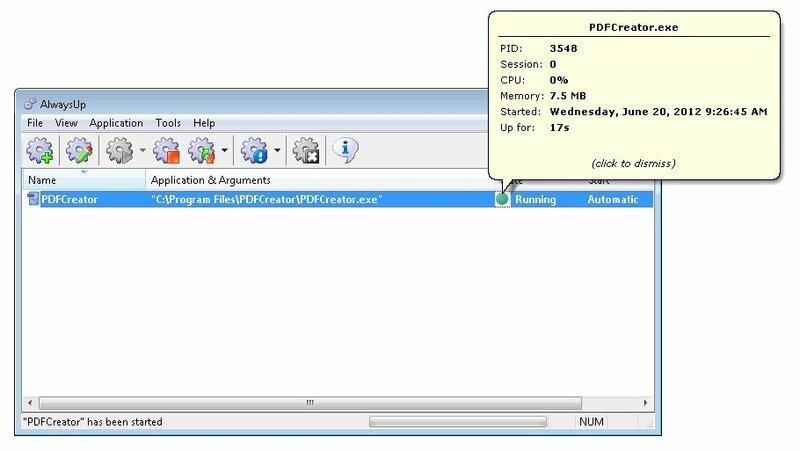 PDFCreator must run in this account so that it can find its settings. 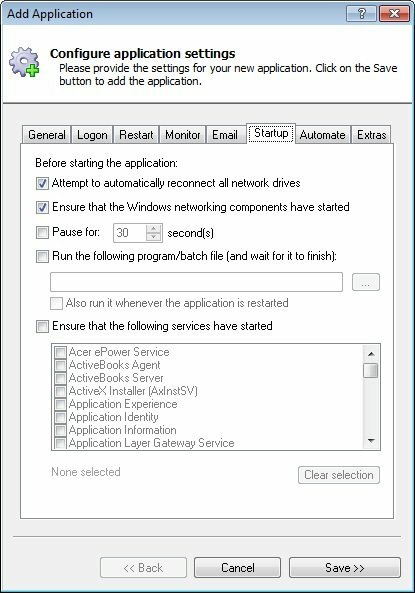 Move to the Startup tab and check the Ensure that the Windows Networking components have started box. This informs AlwaysUp that PDFCreator needs TCP/IP networking support to do its work. Click the Save >> button. 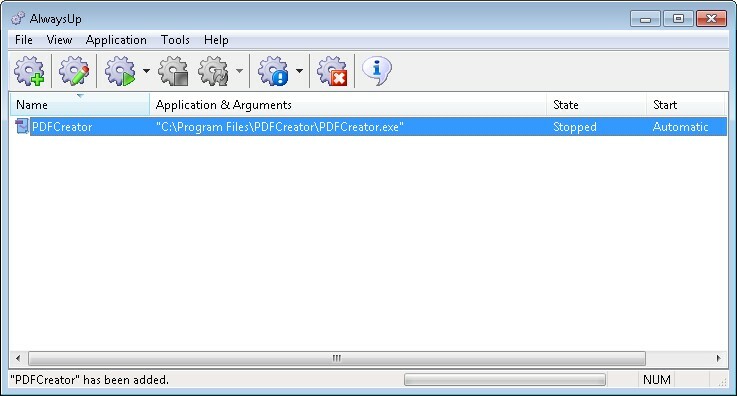 In a couple of seconds, an application called PDFCreator will show up in the AlwaysUp window. It is not yet running though. To start PDFCreator as a Windows Service from AlwaysUp, choose Application > Start "PDFCreator". Note that you probably won't see PDFCreator's window appear as it is running in the background, but printing should proceed normally. Now that PDFCreator will always be running in the background, there is no need to start it again when you log on. We recommend using the free Autoruns tool from Microsoft to disable PDFCreator's auto-start but any "startup manager" should do the trick. That's it! 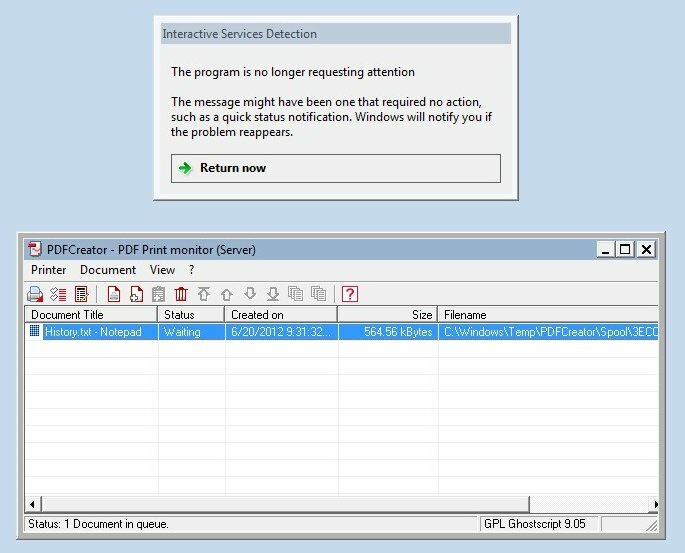 Next time your computer boots, PDFCreator will start up immediately, before anyone logs on. We encourage you to edit the entry in AlwaysUp and check out the many other settings that may be appropriate for your environment. Boost priority, send email and much more! PDFCreator not working properly as a Windows Service?